. 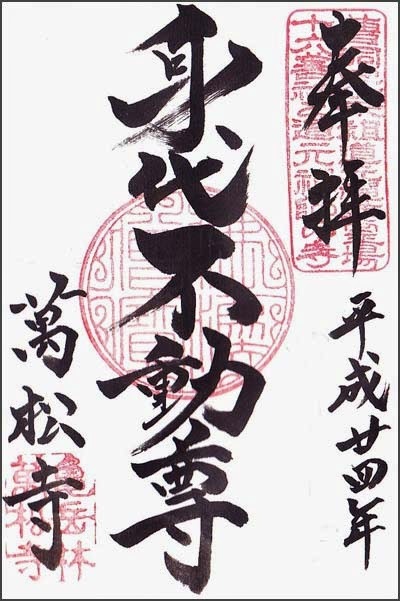 ichigan Fudo　一願不動明王 . 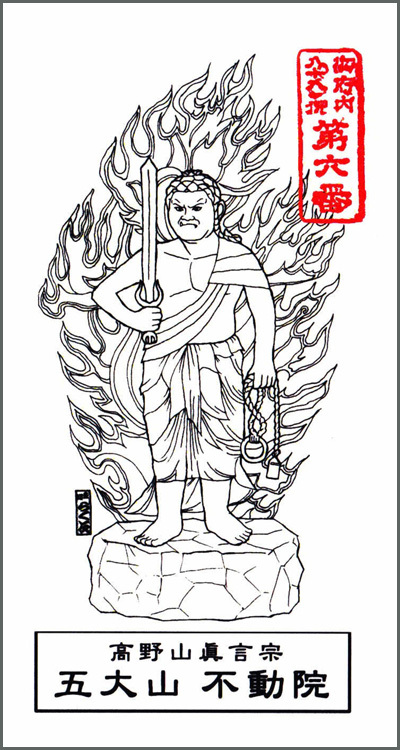 Fudo to make just one wish to, which will be granted !
. 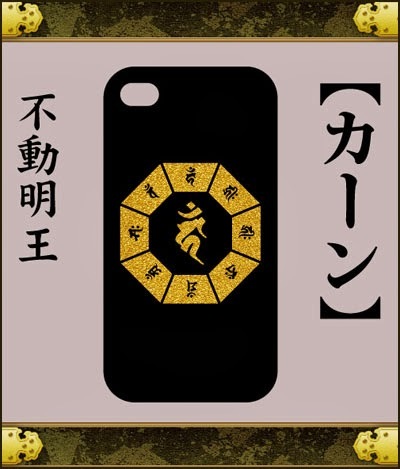 Asakusa no Gankake Tanuki Fudo 浅草 - 願かけ狸 .
. Joorakuji 常楽寺 Joraku-Ji Jorakuji .
. Fukagawa Fudoo Doo 深川不動堂 Fukagawa Fudo-Do .
. Onegai お願い Buddhas to grant a wish . 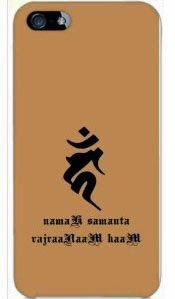 wagami no kawari ni　わが身の代わりに "instead of my own body"
To help people in distress and protect from disaster and catastrophies. On the walk toward the temple there are also seven waterfalls. Look at some spectacular PHOTOS ! 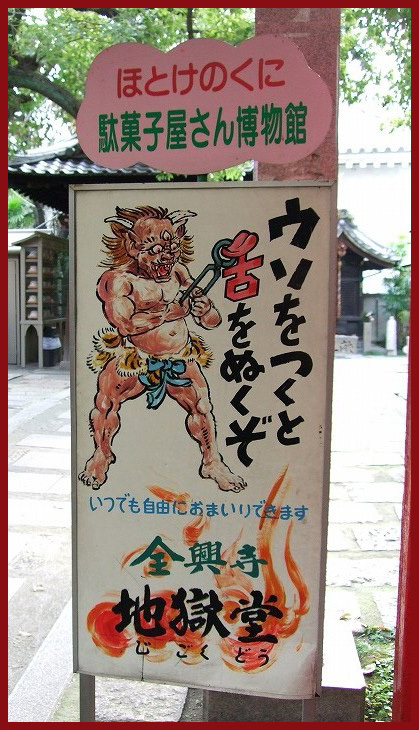 Fire ceremony: 14:00-16:00; Oni hogaku and Yamabushi Mondo: tengu goblins and three other goblins (red blue and black) will dance around the Fudo-do Hall. Hoju-ji Temple is the old site of a residence belonging to Emperor Goshirakawa and its Migawari Fudo statue is very famous. 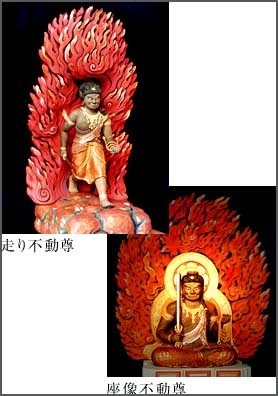 There are more temples with statues of this beneficial Fudo Myo-O. 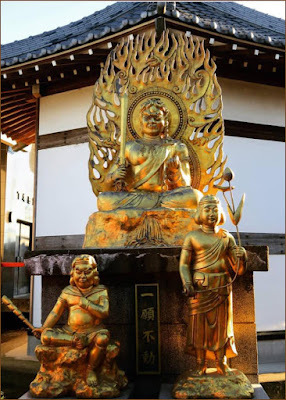 28 temples in Musashino and Sagami . 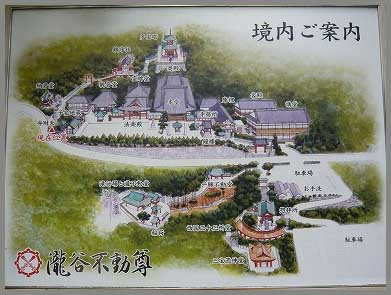 Kyushu - 88 and 108 Henro temples .
. Temple Nr. 06 . 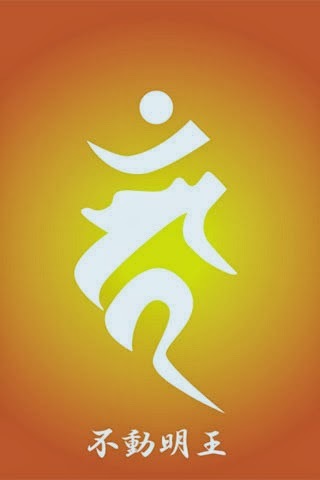 Fudo-In . 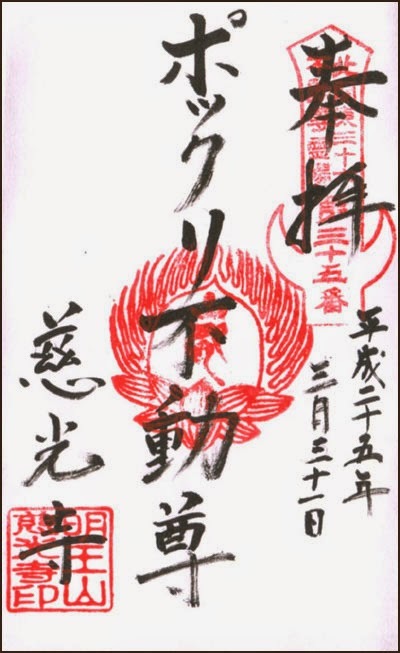 不動院 .
. Temple Nr. 22 . 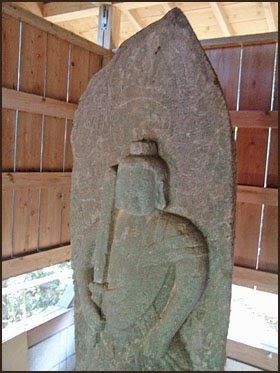 Koryu-Ji (Kooryuuji) . 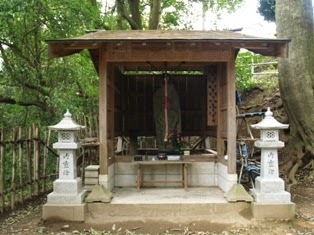 興隆寺 .
. Temple Nr. 16 . 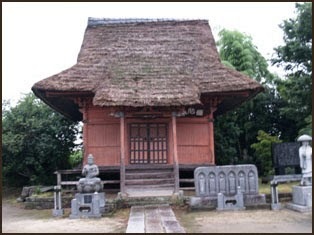 Gokuraku-Ji . 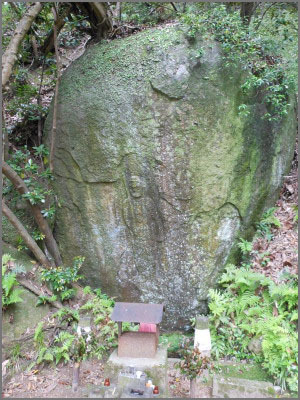 極楽寺 .
. Kirimomi Fudo - Wakayama 錐もみ不動明王.
. Go Dai son 五大尊 Five Great Ones . 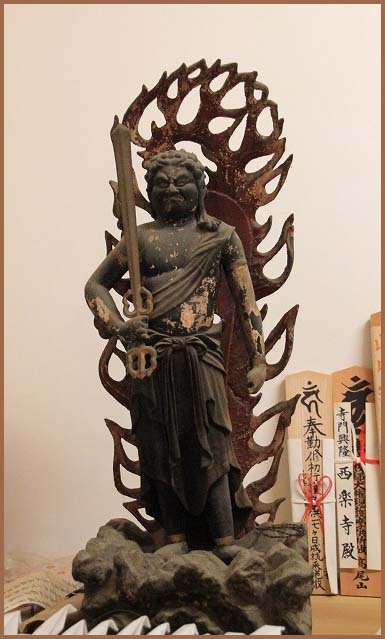 ichigan Fudo 一眼不動尊 "Fudo with one eye"
Shikoku Fudo Pilgrimage to 36 Fudo Temples. 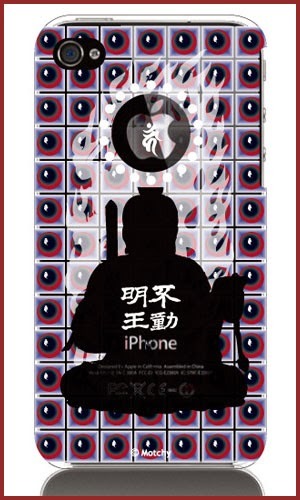 一眼不動 - Ichigan Fudo "with one eye"
. 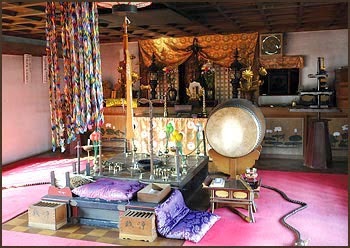 Umegafuchi Fudo Hall 梅ヶ淵不動堂 . 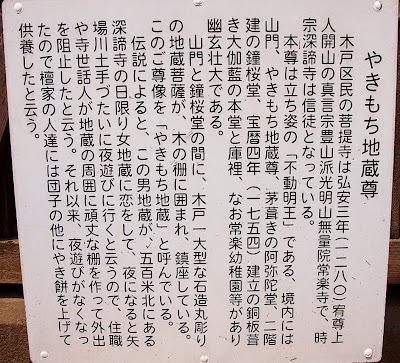 This temple is famous for the history of Minamoto no Tooru 源融 and Emperor Saga Tenno. 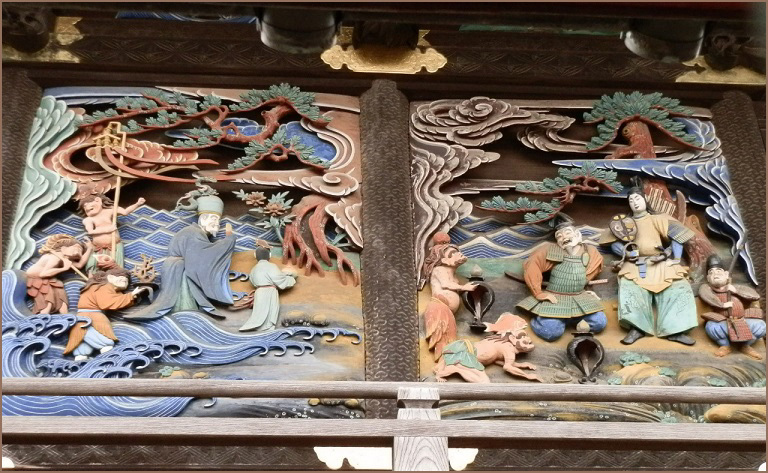 Kobo Daishi built this temple on the strong wish of Emperor Saga in 821.
chokugan, the strong vow or promise, and temples built on the behest of an emperor are often called "chokuganji" ちょくがんじ【勅願寺】. 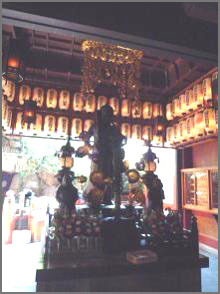 The main statue of this temple was a Kannon with thousand arms, shown only once a year on January 18. 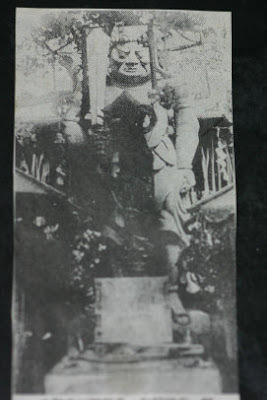 The large photo shows the old statue of Fudo Myo-O before the war. It is lost now. 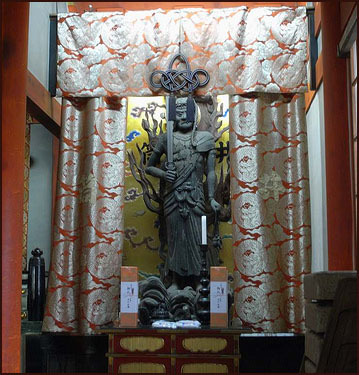 The hall for this "one wish Fudo" had also been built on behest of Emperor Saga. 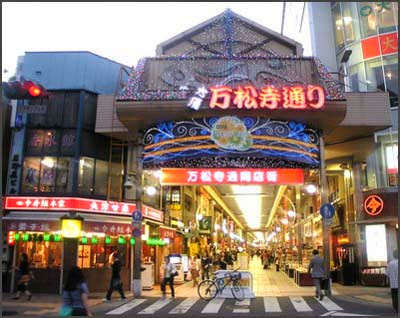 Many people come here, make one vow or wish, walk around the statue once or sometimes even one hundred times. 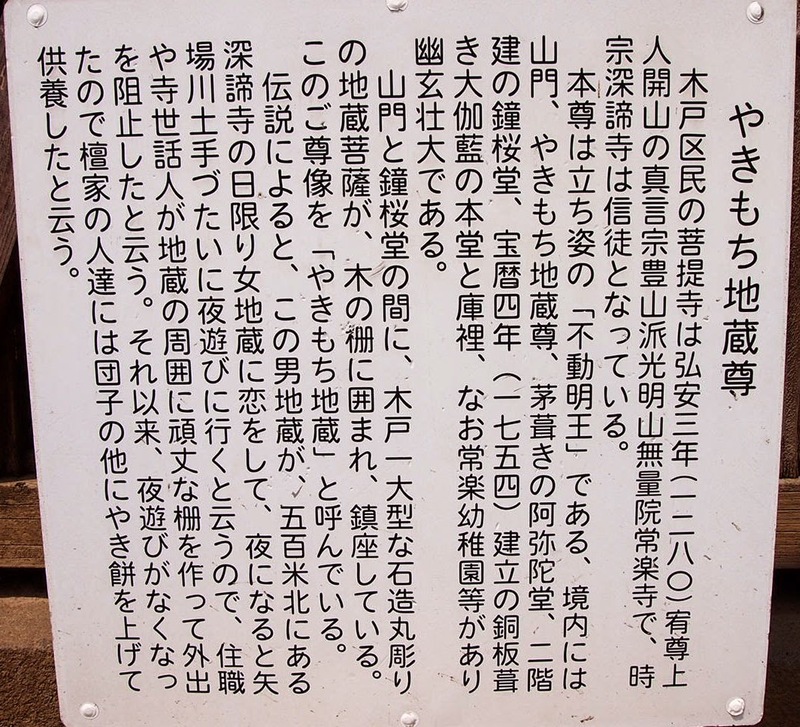 The date of its establishment is not quite clear, but it might have been relocated from 麹町平河町 Kojimachi Hirakawachoin 1658. 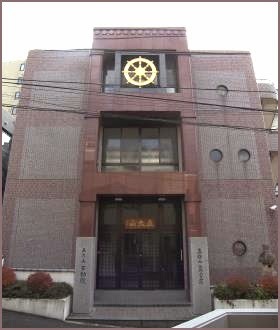 It was moved to 麻布六軒町 Azsabu Rokkencho. 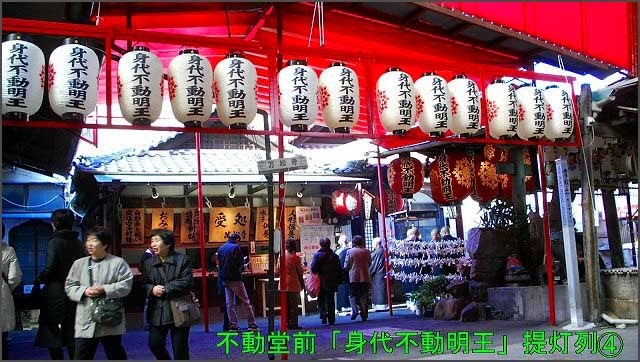 During the Edo period, 兒稲荷 Kabuto Inari in the compound was quite popular.
. Gofunai 御府内八十八ヶ所霊場 Henro Temples in Edo . 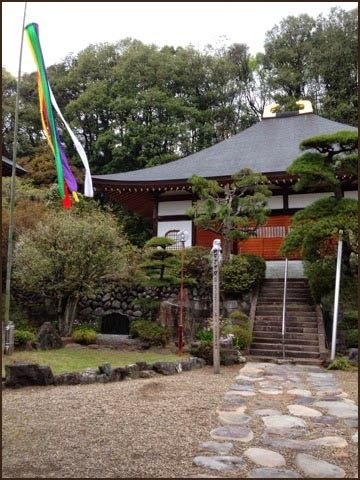 This temple has been established by Kobo Daishi Kukai in 821. 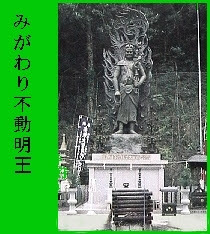 It was build on the strong behest of Emperor Saga for the wellbeing of the people. 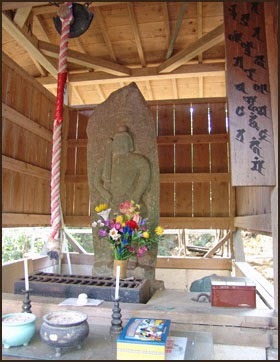 The statue of Fudo was carved by Kobo Daishi. 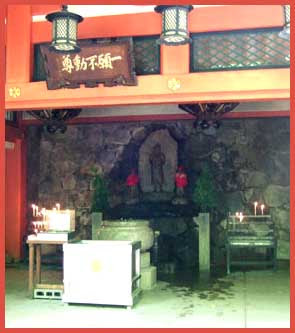 It is counted as one of the three most famous Fudo Temples. 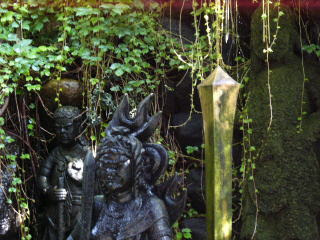 This is a statue where people throw water over Fudo whilst making a wish. 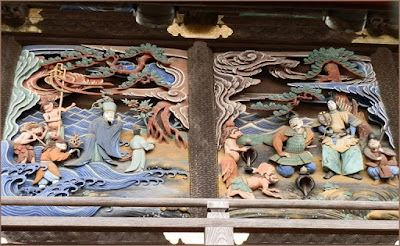 CLICK at this LINK for more photos.
. hashiri Fudo 走り不動 "running Fudo" . 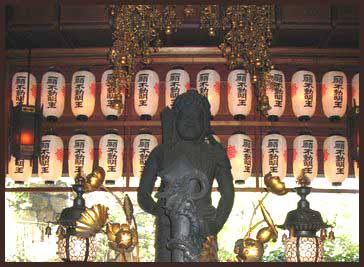 Takidani Fudo Myo-o Temple belongs to the Shingon Shuchizan school of Buddhism, and is located in Tondabayashi, Osaka. 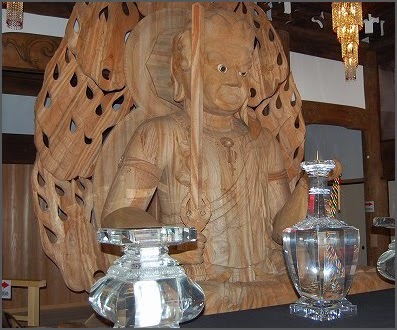 Takidani Fudo Myo-o Temple is counted as one of three large Fudo in Japan. 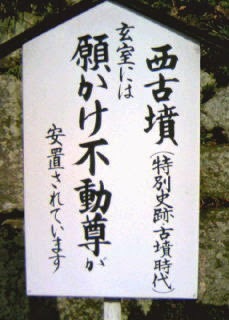 Praying at the temple is reputed to help prevent or cure eye diseases. 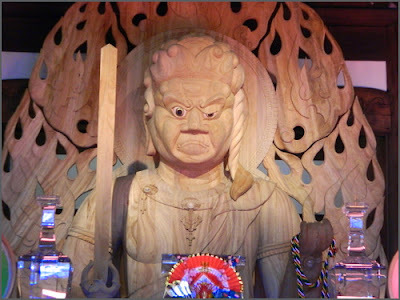 As a result, the temple is also known as 'God of Eye' and 'Fudo of Sprout'. 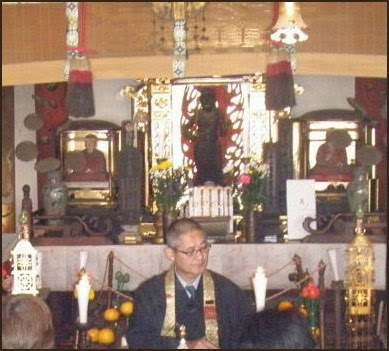 The priest Kukai established the temple in 821. 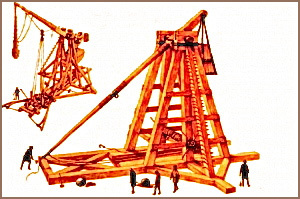 In 1463, it was moved to its present place. 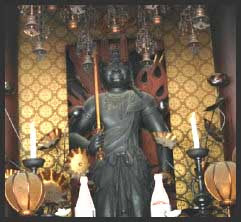 The temple's principal image is of Acala. 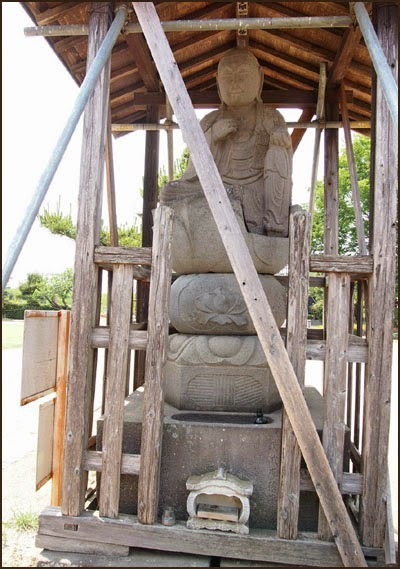 The statues to Kongara and Seitaka are said to have been created by Kukai himself. These images are all designated as important cultural assets. Monthly on the 28th day, a festival is held at Takidani Fudo Myo-o Temple to which over 30,000 people gather. 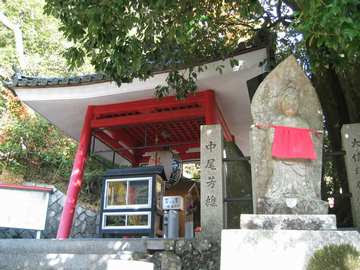 One of the 36 Fudo Temples in the Kinki Pilgrimage.
. Pilgrimages to 36 Fudo Temples in Kinki . 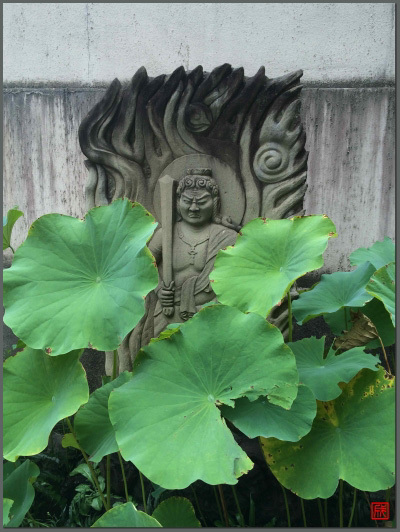 From the pilgrimage to 88 temples in Settsu. 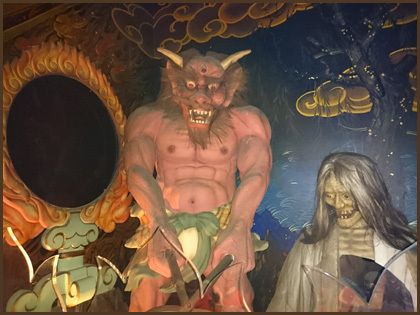 Senko-Ji 地獄堂 Jigoku-Do "Hall of Hell"
There are quite a few temples with this Fudo in Japan. 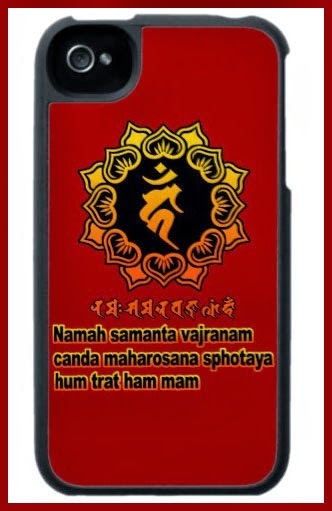 Click on this photo to see more. 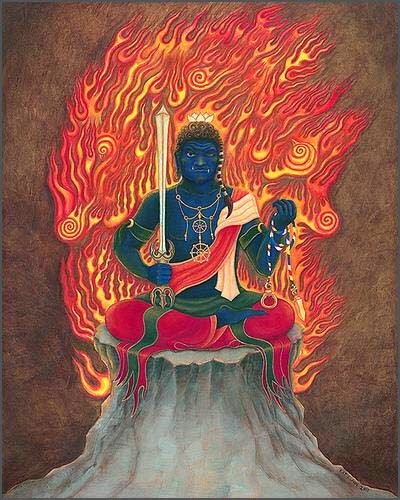 With two eyes, Fudo sees very clearly all the bad points of a human, with one eye he sees only half and can thus extend his benevolence and mercy to more people. 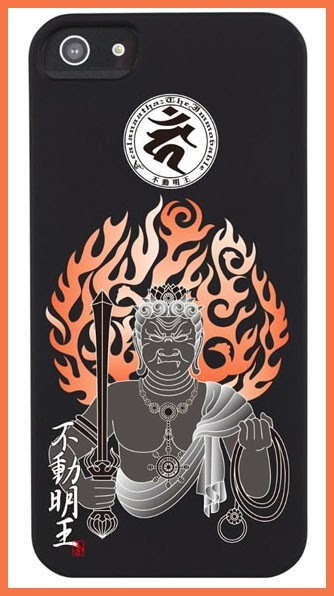 Ichiji Fudo ... 一事不動 "One Item Fudo"
. 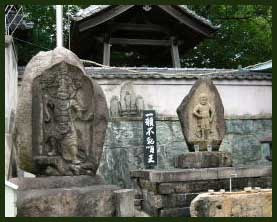 Chokuganji 勅願寺 Chokugan-Ji "Imperial Temple" .